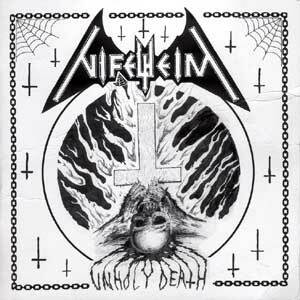 There are no reviews for Unholy Death yet. You can write one. 13 ex on blue vinyl with blood on cover, first 100 are numbered and have blood on the cover. 200 ex. on black vinyl and post card in, the rest (666 in total) are plain black vinyl. Both tracks already appeared on the 1993 demo, on this EP they are mastered much slower.